Per the seller: The non-mechanicals of the boat are over 90% restored and there is minimal work to be completed. Essentially, be prepared to decorate according to your style and this Jordan should provide years of floating condo type liveaboard space! 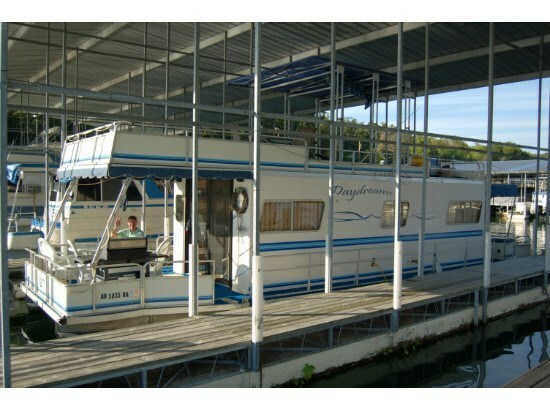 Stock #168891 Big Houseboat, on a Big Lake, for a NOT so Big price... Need a Fish Camp? Rather take it to where the fish are? We Got this! 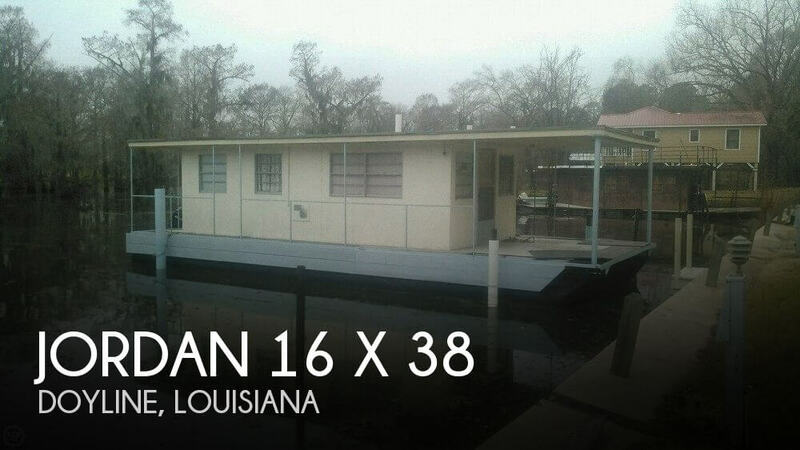 If you are in the market for a houseboat, look no further than this 1973 Jordan 16 x 38, just reduced to $23,750 (offers encouraged). 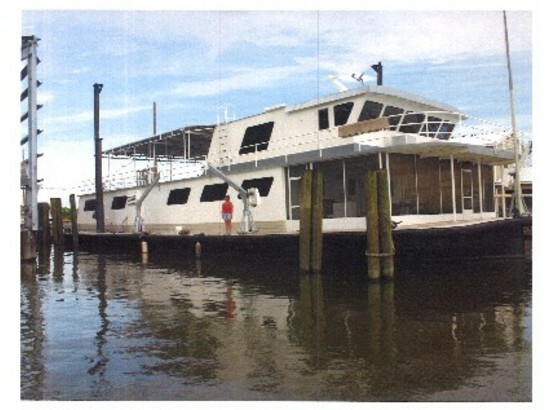 This vessel is located in Doyline, Louisiana and is in good condition. She is also equipped with a Mercury engine. Reason for selling is no time to use. 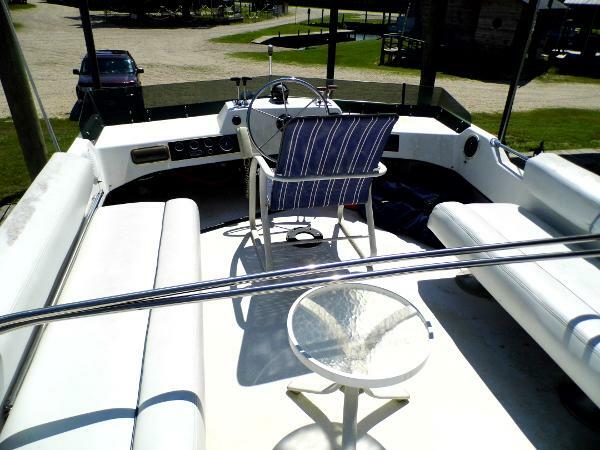 The owner says this boat is in great condition and ready when you are. Other than some peeling of the vinyl graphics, this boat appeared to be very well taken care of. The engine hold was a little dirty which is very common for houseboats. The interior was in very good shape. The decks seemed very solid with not give or soft spots that I could find. As always, we encourage you to send us all your questions. Showings are available by appointment only. 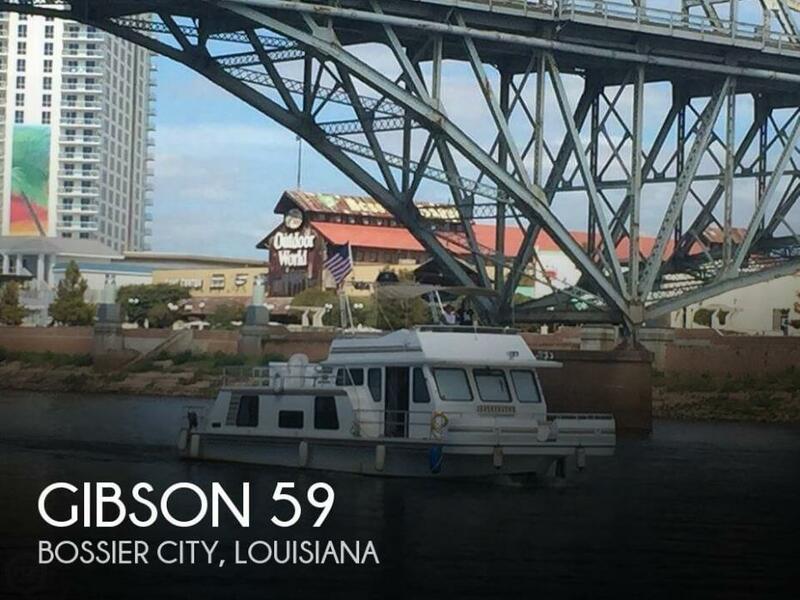 Stock #170845 Great Condition, Well Maintained, A Lot of Boat If you are in the market for a houseboat, look no further than this 1995 Gibson 5900 SS Wide Body, just reduced to $112,500 (offers encouraged). 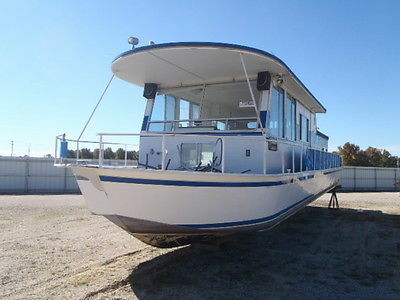 This vessel is located in Bossier City, Louisiana and is in great condition. She is also equipped with twin Crusader engines. Reason for selling is not using enough. 2007 Skipperliner Super Yacht 94' Skipperliner SuperyachtArmstead The Armstead was custom designed for private yachting with a luxurious interior but with large windows to allow unobstructed views of the great outdoors and with a second floor open air aft deck for outdoor enjoyment. 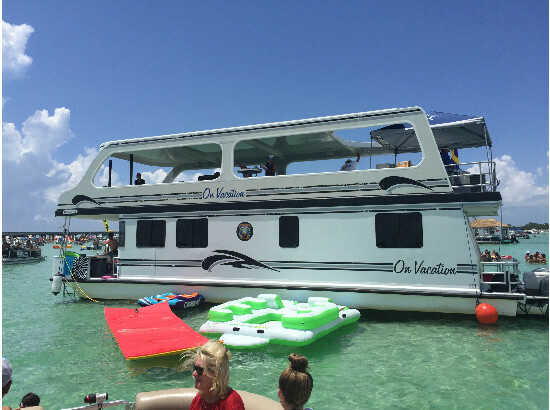 She has ALL that anyone would need for yachting and lots more of it including a full beam Master Suite, two Queen sized guest suites, commercially equipped galley, two gas fireplaces, an indoor/outdoor great room, copper topped bar and a luxurious décor. 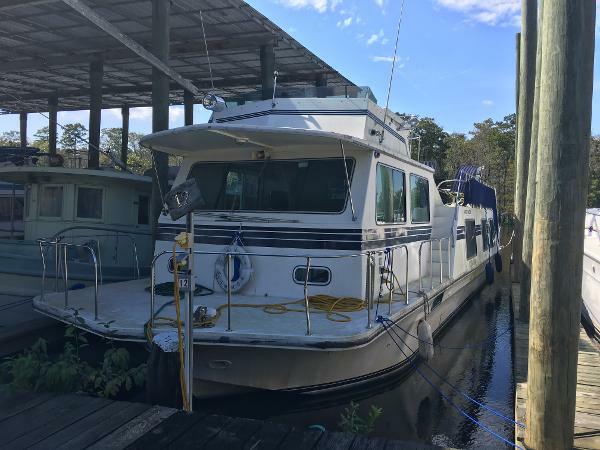 1993 Harbor-Master 52 Wide Body "Endless Summer" the Harbor-Master 52 wide body, has the spacious living and entertaining capability you look for in a house boat of this size. 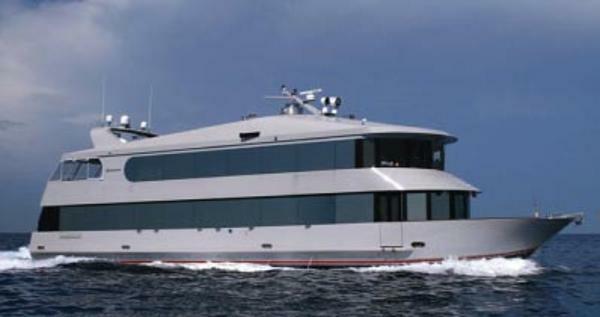 The wide beam allows for a massive upper deck and port & starboard molded fiberglass stairs both forward and aft. Full beam aft master stateroom with queen berth, sliding window/door access to aft deck and access to head & full shower. 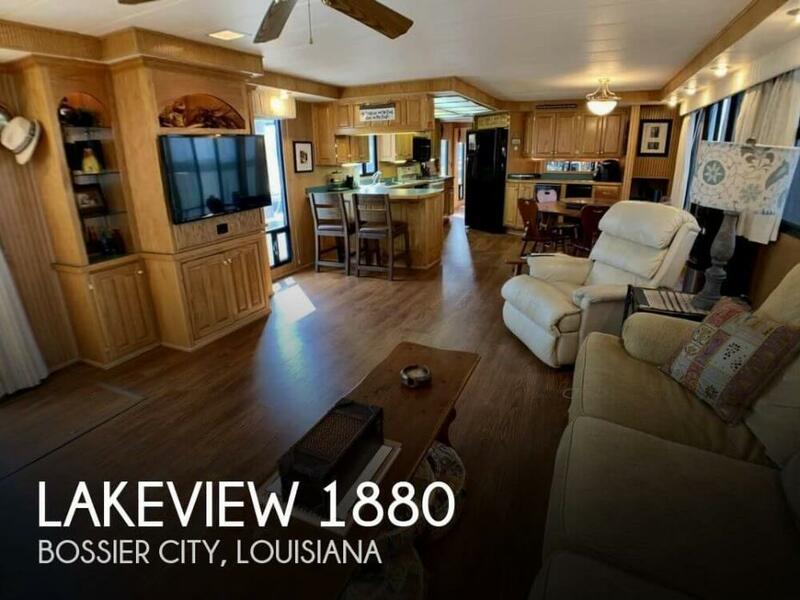 Full size galley with opposing dinette area and companion steps up to the open salon. Forward spiral staircase takes you down to the forward guest stateroom and guest head. Lower helm with full instrumentation & bridge helm with ample seating, makes navigating and entertaining easy. Twin Gas 454 Crusader Engines & Kohler Generator. 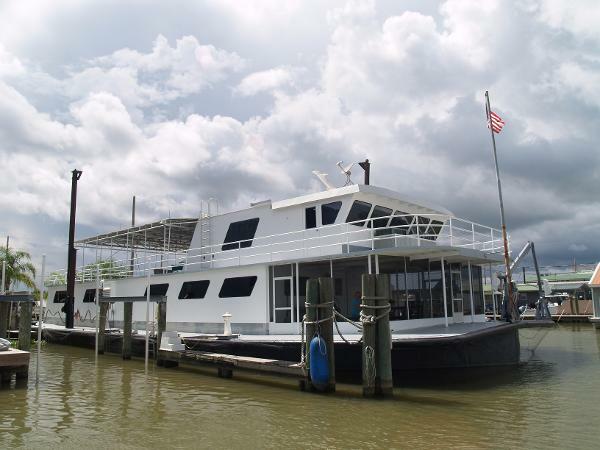 2004 Ingalls House Barge 100 ' House Barge Originally built in 1940 as a car ferry, this custom house barge was converted in 2004 to a luxurious hunting/fishing camp with four staterooms and five heads plus four open and spacious separate entertainment areas!